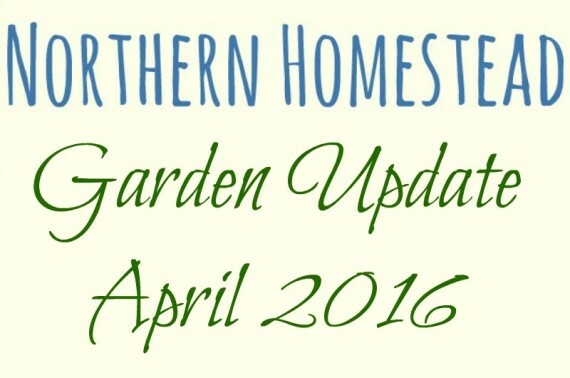 This is our 5th year of monthly garden updates here at Northern Homestead. It has been helpful to record what was growing and how. 2014, for the first time, we went till November, and started again 2015 in January. There is a lot of winter growing in those posts. We do these updates mostly for us, but if you are interested, we do try to pack something helpful and informative into it as well. You can see all of our garden updates here. This garden update opens a new chapter for us, it is our first Northern Homestead Garden Update on Video. Personally I love following gardeners on YouTube, it is almost like being there. But I always hesitated to make videos myself, mostly because of my language barrier. No, English is not my first language, not even my second. The side effect of being multilingual is an accent. Hope you enjoy the little tour, and please tell us what is growing in your garden. Very well done your gardens are an inspiration to all that grow plants in an difficult environment. Thank you, for your encouraging words! We really do want to be an inspiration.